Brain training apps - Image Source- This Image is taken from TapSmart which was uploaded by Andy Price on his article. Brain training is a term that often describes the use of online games and software for brain exercise purpose. Brain training refers to cognitive training, which uses intense mental practice to target and work on the brain's basic cognitive skills. Strong cognitive skills are important because they are the skills used to learn, read, argue remember, and focus on the brain. They also have skills that determine IQ. 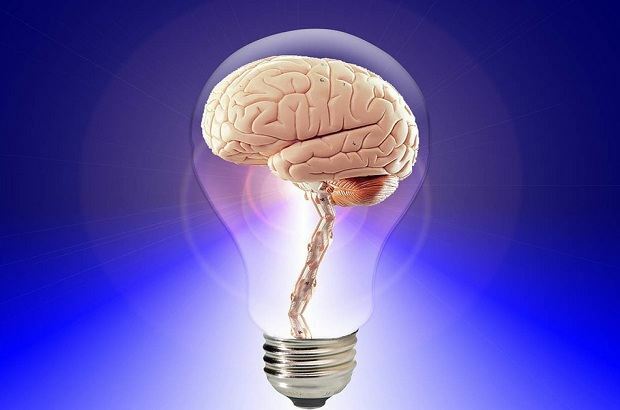 In brain training applications, there is a claim to improve the ability to solve problems by tapping into intelligent and cognitive skills such as memory, attention, processing speed, long and short memory, hearing processing, and the plasticity of your brain - its ability to change. Even professors to help those significant brain problems are beneficial such as painful brain injury, Chemo some brain, dementia, dyslexia, ADHD, and much more. You can boost and promote your memory with some dedicated brain training apps or maintain a healthy state, which are turning simple activities into a radical thought exercise. 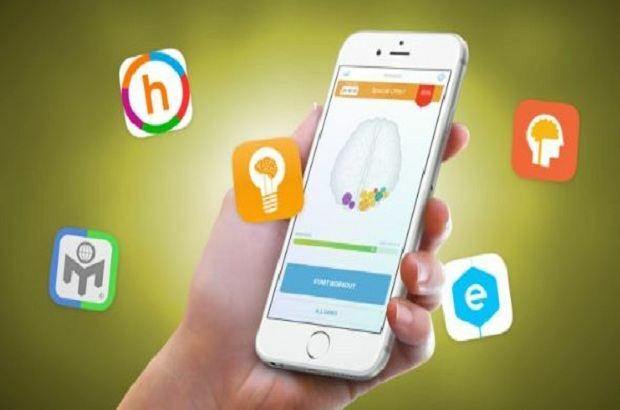 A brain training app is developed at the University of Cambridge that can help those who are suffering from many mental problems, such as dementia, obsessive-compulsive disorder (OCD) manage their symptoms, which usually include contamination fears and excessive hand washing. The idea behind brain training is to increase memory and thinking skills by practicing mental challenge exercises that are designed for shape and appearance like a video game. Recently, many websites and several programs have come on the internet for these purposes, but some have faced criticism or legal action to eliminate their profits. Some studies have proposed that any mental stimulation of such programs may be due to the placebo effect. Obsessive-compulsive disorder (OCD) is a type of anxiety disorders that is characterized by unwanted and uncontrolled thoughts and rituals, repetitive behaviors that you feel compelled to perform. One of the OCD conditions is that there are some people who just systematize things or misuse them as a way of describing those people. But if you have an actual condition that is an obsessive-compulsive disorder, then you might assume that your obsessive thoughts and compulsive behaviors are irrational-but still, you feel unable to oppose them and break free. OCD does not usually happen suddenly. Like a needle stuck on an old record, the OCD causes the brain to stumble over a particular thought or insistence. For example, you can check the stove 20 times to make sure it is actually closed, or wash your hands until they are raw. While you do not get any sense of bliss from doing these repetitive behaviors, they can provide some relief for some of the problems caused by obsessive thoughts. You can try to avoid situations that trigger or spoil your symptoms or self-medication with alcohol or drugs. But it seems that there is nothing to avoid your passion and compulsion, you can do a lot of things to help yourself and control your thoughts and actions. Symptoms can be triggered by personal distress, abuse, or something negative that affects you like the death of a loved one. The obsessive-compulsive disorder usually begins during adolescence or young adulthood; Young children sometimes have symptoms that look like OCD. It is more likely that if your family members have OCD or other mental health disorders such as depression or anxiety. However, the symptoms of other disorders such as ADHD, Tourette's syndrome and autism can also look like an obsessive-compulsive disorder, so before any diagnosis, a complete medical and psychological examination is necessary. Collecting old newspapers or empty food containers such as "junk"
Organizing or ordering things "just so"
How brain training apps work in OCD Symptoms? Recently, a new study report (1) has been published in the Scientific Report Journal. In the study, Professor Barbara Sahakian and Baland Jalal from the Department of Psychiatry show that significant improvements can be made in only one week of training. They determine one of the most common types of OCD, which are affected by up to 46 percent of OCD patients, which are characterized by severe contamination fears and excessive washing behavior. Excessive washing can be harmful because sometimes OCD patients use spirits, surface cleaners, or even bleach to clean their hands. Behavior can have a serious impact on the lives of people, their relationships, their mental health, and their ability to get jobs. This repetitive and compulsive behavior is also associated with 'cognitive stiffness' - in other words, the inability to adapt to new conditions or new rules. To get out of compulsive habits such as hand washing, cognitive flexibility is required so that the OCD patient can switch to new activities instead. Ninety-three healthy people having strong contamination fears on the basis of high scores on the 'Padua Inventory Contamination Fear Subscale'' participating in the study scared. Researchers used healthy volunteers instead of OCD patients in their studies to ensure that the interventions did not lead to potentially bad symptoms. Participants were divided into three groups: The first group watched videos of their hands washing on their smartphones; The second group saw similar videos but to touch fake counterfeit surfaces; And third, the control group looked at neutral hand movement on their smartphones. Only a week after watching your brief 30-second video four times a day, participants of the first two groups - that is, who saw handheld videos and exposure and reaction prevention videos - improved OCD symptoms and showed more cognitive flexibility than the conditions and neutral control group. On average, in the first two groups, participants saw an increase of about 21percent in their Yale-Brown Obsessive Compulsive Scale (YBOCS) score. YBOCS score is the most widely used clinical evaluation to assess the severity of OCD. The important thing is that the completion rate for the study was excellent - all participants completed a week's intervention, in which participants viewing their video an average of 25 out of 28 times. Professor Barbara Sahakian said: "This technique will allow people to get help at any time within the environment where they live or work, instead of waiting for the appointments. The use of smartphone video is personalized to the individual. The results are very exciting and encouraging, among those diagnosed with OC. This Smartphone app is not currently available for public use. This Smartphone app is not currently available for public use. Researchers need further research before concluding that it is effective in helping OCD patients. Mr. Baland Jalal said: "Participants told us that the smartphone washing app allowed them to be easily involved in their daily activities. For example, a participant said, 'If I am coming to the bus and touching something contaminated I cannot wash my hands in the next two hours, the app will be an adequate option in the future."